Ari Schafer, R.Ph. opened Civic Center Pharmacy at its current Old Town Scottsdale location in 1996. 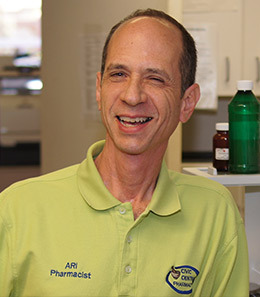 After working at chain pharmacies for several years, Ari envisioned a pharmacy that was devoted to the needs of individual patients. He believed that medicine was not “one-size-fits-all” and understood that compounding offered the best option for patients who desired better outcomes than they derived through the use of commercially available medications alone. Since the late 1990’s, Civic Center Pharmacy has offered both Sterile and Non-Sterile Compounding services to the Greater Phoenix area. 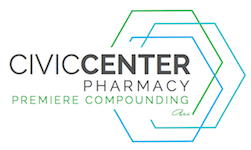 Over the past several years, Civic Center Pharmacy has grown from just 7 employees over 20 that we currently employ. Recently, Civic Center Pharmacy has expanded it’s facilities to better meet the needs of our of patients. Our growth can be attributed to the outstanding reputation we have developed among both patients and providers throughout Arizona and beyond. We are now licensed in over 20 states, a testament to our ever-growing reputation. Our friend Ari passed away in April, 2014 after a 6 year long battle with cancer. His legacy of offering customized care to patients, providing a high-quality compound at a reasonable price, and delivering outstanding customer service will always remain the focus at Civic Center Pharmacy.